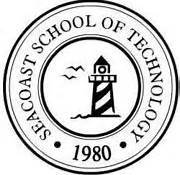 Come on down this year to the Seacoast School of Technology and support the marketing students in planning, organizing, and funding the 8th Annual Small Business Showcase. This showcase allows students to get hands on experience through talking to real business owners and promoting the event within the community. Throughout the years the Small Business Showcase has been a huge success with over sixty local business’s in attendance and up to three hundred people. ReVision Energy will be there!